Buy Online Now! 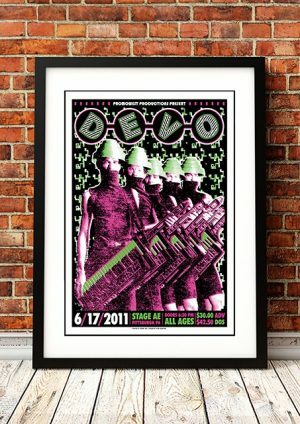 - Devo Rock Concert Posters and Memorabilia. 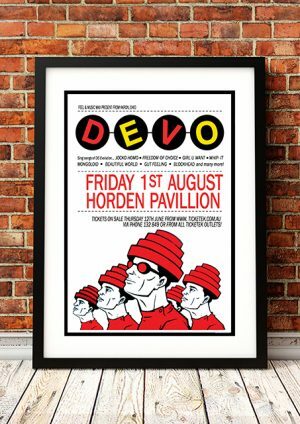 Devo formed in 1973. Their music and stage show mingle kitsch science fiction themes, deadpan surrealist humor, and mordantly satirical social commentary. 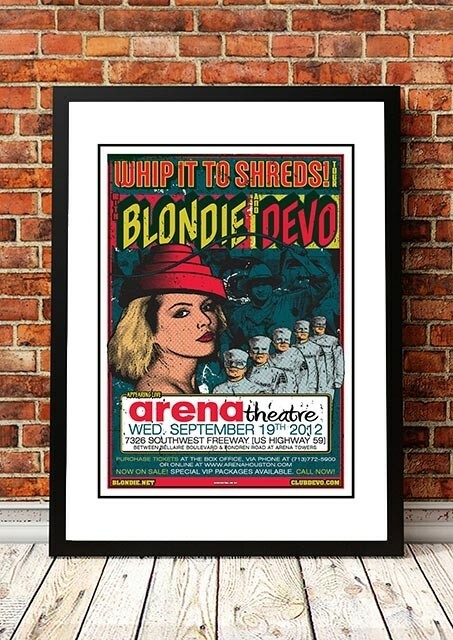 Their often discordant pop songs feature unusual synthetic instrumentation and time signatures that have proven influential on subsequent popular music, particularly new wave, industrial, and alternative rock artists. 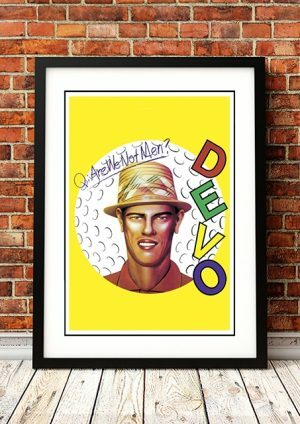 Devo was also a pioneer of the music video, creating many memorable clips getting heavy airplay in the early days of MTV. 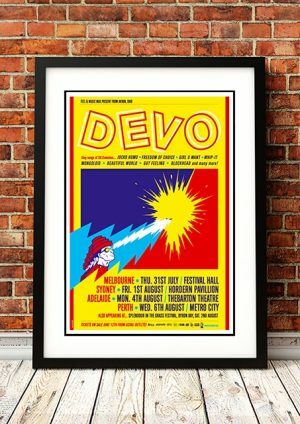 We stock an awesome Devo Concert Poster from their Australian Tour in 2008.